A new detachment of Royal Marine Cadets, the first ever in South Worcestershire, is setting up in the Vale this week. The group is looking for young people and adults who have a lot of bottle. Based at the home of the Evesham Sea Cadets, the new group is for those who want an even bigger challenge. Volunteers could soon be abseiling down a Bavarian mountain or finding their way across Dartmoor in Devon at night. “We want the best of the cadets to be marines,” says Sean Kent, an ex-staff sergeant from the Royal Corps of Signals, who becomes the detachment commander this week. Their first meeting, their Parade night, will be this coming Monday, 8th August. The detachment is also looking for other adults and young people, from 13 to 18 years old, to sign up. The Marine Cadets will follow the spirit of the Royal Marines. On the itinerary is military map reading, concealment and camouflage, shooting, and, of course, the assault course. 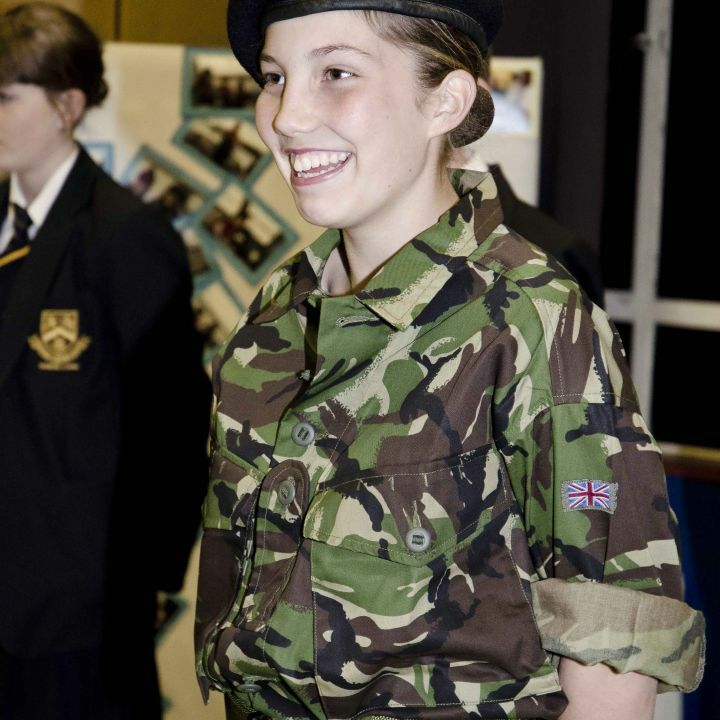 Paige Woodward, 14 years old, an ordinary cadet (which is one step up from being a cadet) says that is what has attracted her to the new detachment, that and the uniform. Some lucky marines will be invited to Exercise Bavarian Surprise in Germany where they will be able to go rock climbing, abseiling and kayaking. Or the new recruits might join the real Royal Marines for a week of training, including running the infamous Bottom Field assault course which can make grown men and women cry. This year, marines will form the guard of honour at the war memorial in Evesham on Remembrance Sunday. The Royal Marine Cadet Detachment meets on Monday 8th August, and then every Monday and Thursday, from 7.00pm – 9.30pm at the Sea Cadets headquarters in Shinehill Lane, South Littleton, Evesham. The Unit is looking for both adults to train as instructors, and young people who may wish to join. For further information, come to the unit on a parade night, call 01386 833383 or visit the Royal Marine Cadets’ website acoy.co.uk. The telephone is manned on Parade evenings only but has a message service that you can call anytime. Evesham Sea Cadets are celebrating this week after winning their annual district sailing regatta. The Cadets fought off stiff competition from rivals from units based as far away as Tamworth and Rugby. The regatta is open to ten different sea cadet units and it is the first time Evesham has won. Scores of young sailors took part in the competition held at Shustoke Reservoir near Coleshill. The Evesham cadets came first in the Pico and Topper sailing events and First in a 6.8 metres windsurfing competition. Three others were also runners up. The Evesham Unit came first overall. The Winner were: Rufus Segar champion Pico Class; Hamish Massey Winner Topper class; Josh Maklin winner 6.8m Windsurfing; Daniel Ludlow runner up 4.5m Windsurfing;and, Chris Banks and Molly Keeler runner up Bosun Class. On Thursday 2nd June, Commanding Officer of Evesham Sea Cadets, Chief Petty Officer Keith Field hosted the Mayor of Evesham Councillor Jim Bullman at the groups headquarters in Shinehill Lane, South Littleton, for a formal inspection of the cadets and to appoint the Mayor’s Cadet for his second term as Mayor of Evesham. Leading Cadet Jordan Griffith’s, a cadet with three years service, after under going an interview process was appointed Mayor’s Cadet by the Mayor. Since joining the Sea Cadets Leading Cadet Griffith’s has completed his Bronze and Silver Duke of Edinburgh’s Award and is halfway through completing his Gold Award. As well as completing his BTEC in public services he has also become a proficient canoeist, sailor and rower whilst at the group. This year he is also looking forward to Mountain Biking, Abseiling, Coastering and Rock Climbing, which he will be completing at the end of July as well as gaining his Summer Mountain Proficiency Award when he travels to Hatton with the British Mountaineering Council in August. The Mayor was astounded by the qualifications he had gained whilst being at the group and said he was looking forward to Leading Cadet Griffith’s accompanying him on official engagements around the town. During the evening, the Mayor inspected his guard of honor, and then took time to speak to all of the cadets to see what they have been involved in over the year so far. 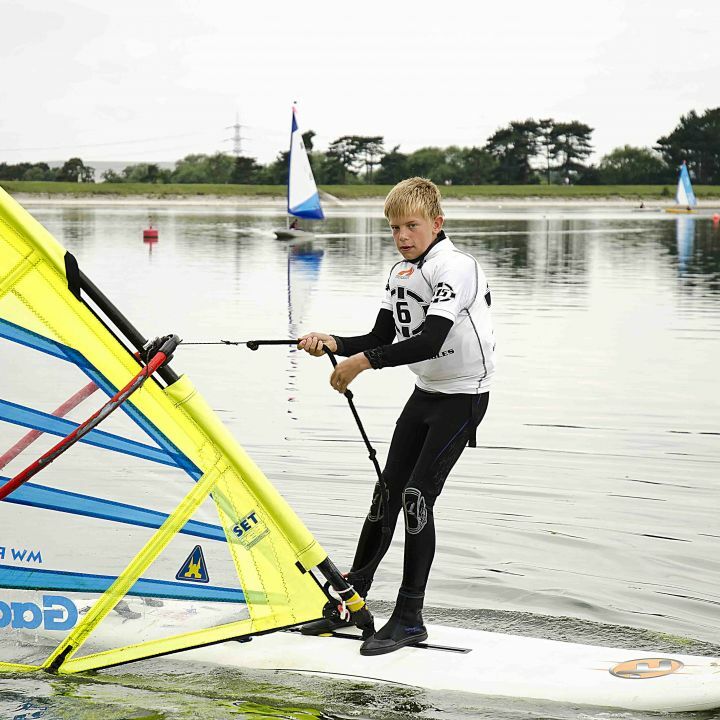 The cadets surprised him when they said they partake in a wide range of activities from Windsurfing and Power Boating as well as 28 involved in the Duke of Edinburgh’s Award at different levels. After a tour of the unit and watching the cadets undergo some nautical training, the Mayor ended the evening by awarding some presentations in camp craft and canoeing that they had achieved over the previous month. The groups Commanding Officer Chief Petty Officer Keith Field thanked the Mayor for his visit and his continued support to Evesham’s premier disciplined youth organization. Evesham Sea Cadets, which has now grown to over 50 cadets, meet on a Monday and Thursday evening from 7.00pm – 9.30pm at its headquarters in Shinehill Lane, and are always looking for new recruits between the ages of 10 - 18. On the 1st July the group will be starting a Marine Cadet Detachment, another first for the town, and are looking for both adults to train as instructors, and young people who may wish to join the detachment. For further information visit the unit on a parade night or call 01386 833383 or visit the Sea Cadet National Website.